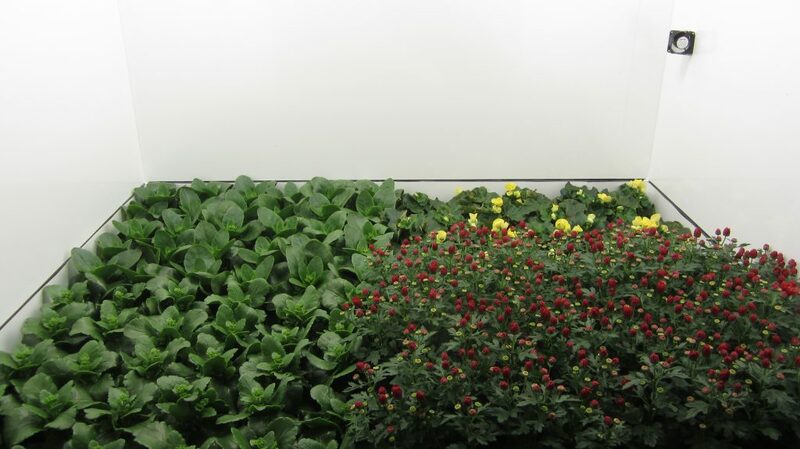 We do research within the field of our specialization: the effect of the environment on plant growth and development. 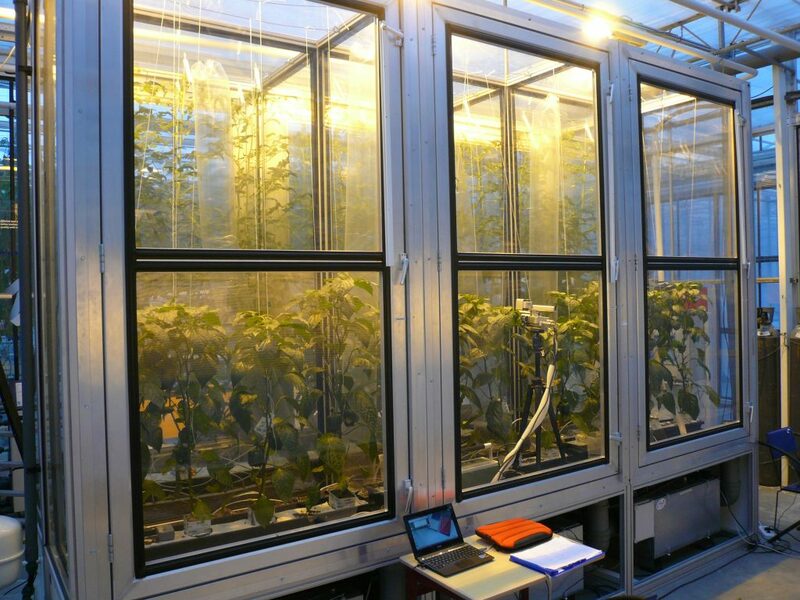 Research is performed in our own climate chambers, in experimental greenhouses or in your company. 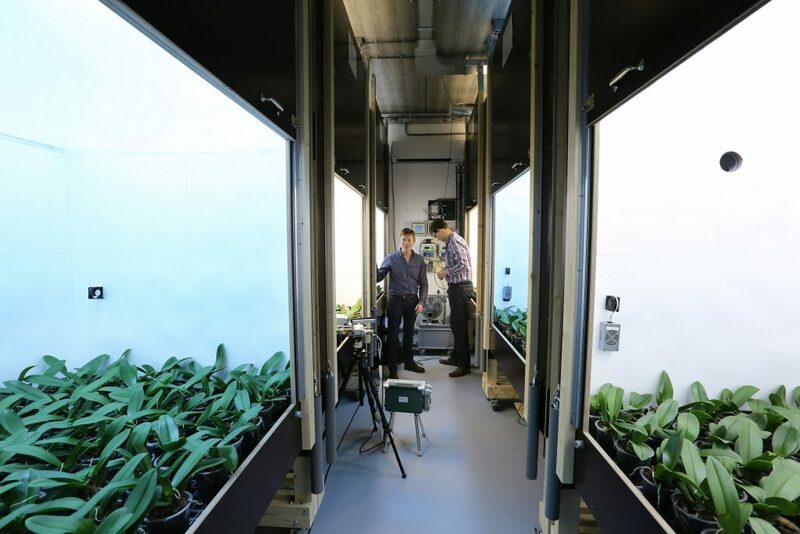 Our climate chamers are equipped with artificial Sunlight, which allows us to simulate the natural daylight of any season year-round. 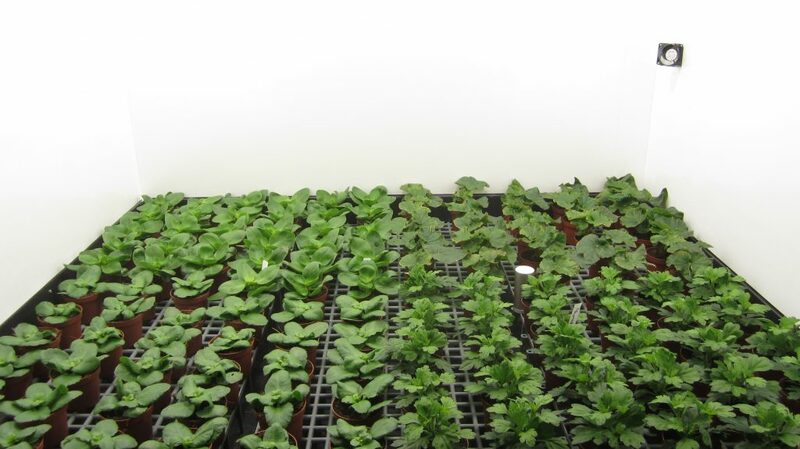 We also offer presentations and workshops. 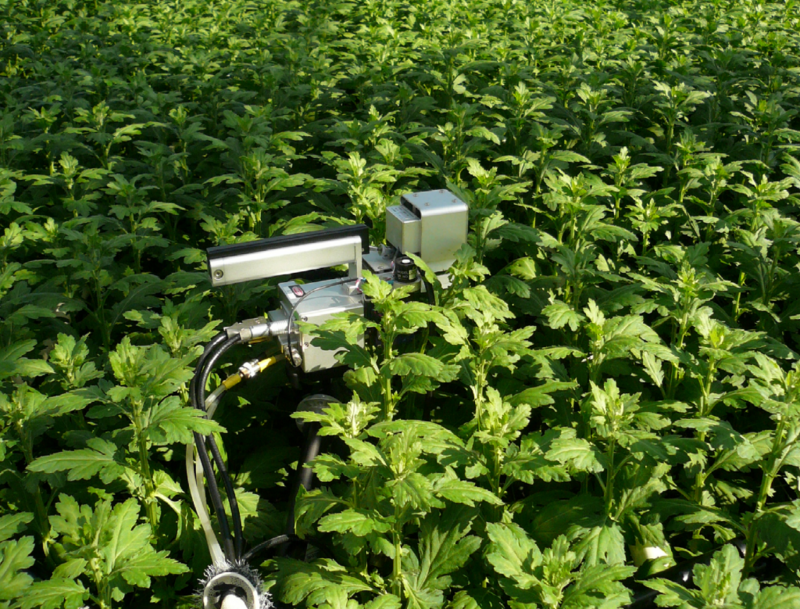 Below an impression of our research and methods. 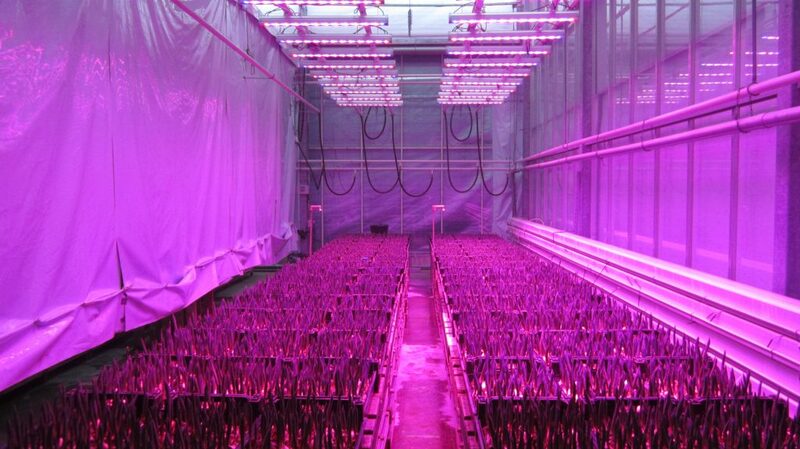 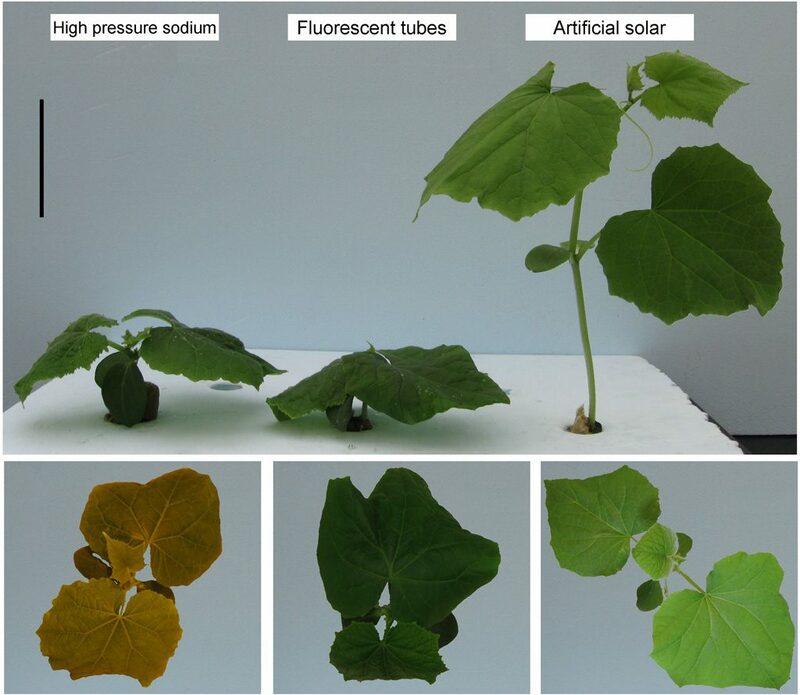 Research on light use efficiency in Phalaenopsis orchids in climate-units at Plant Lighting. 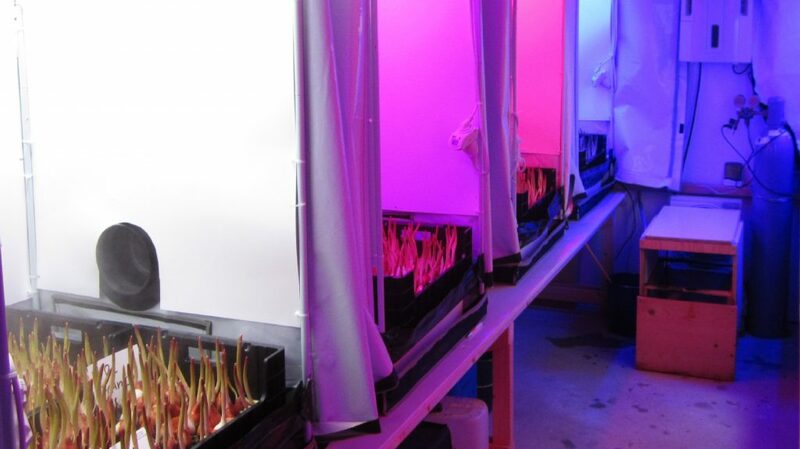 Artificial Sunlight allows us to simulate the natural daylight of any season year-round in our climate-units. 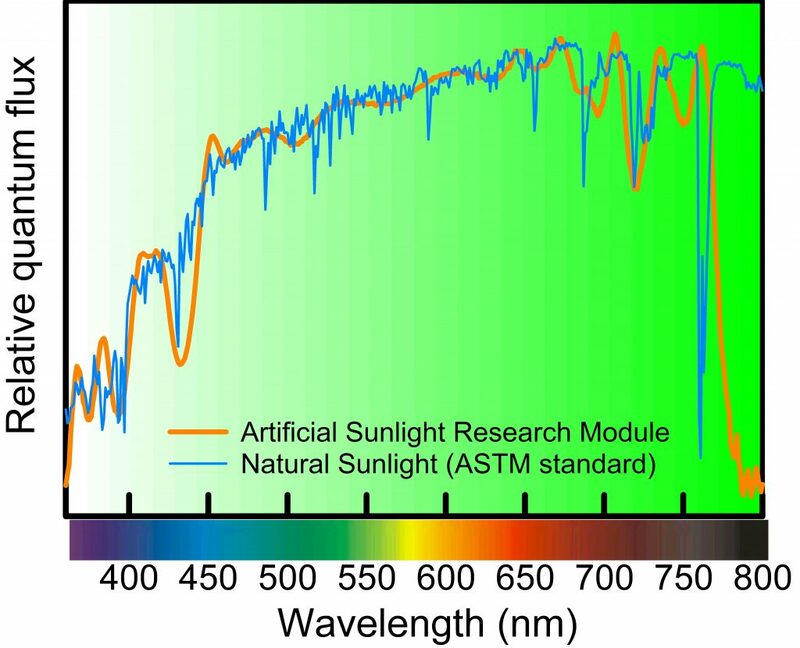 The spectrum is plotted together with the ASTM standard for natural Sunlight. 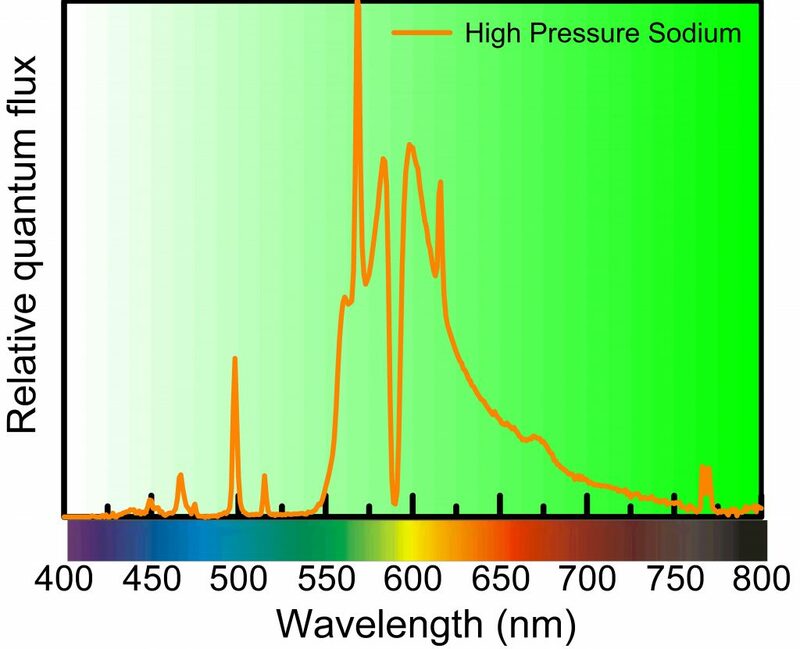 The other graph shows the spectrum of a common HPS lamp. 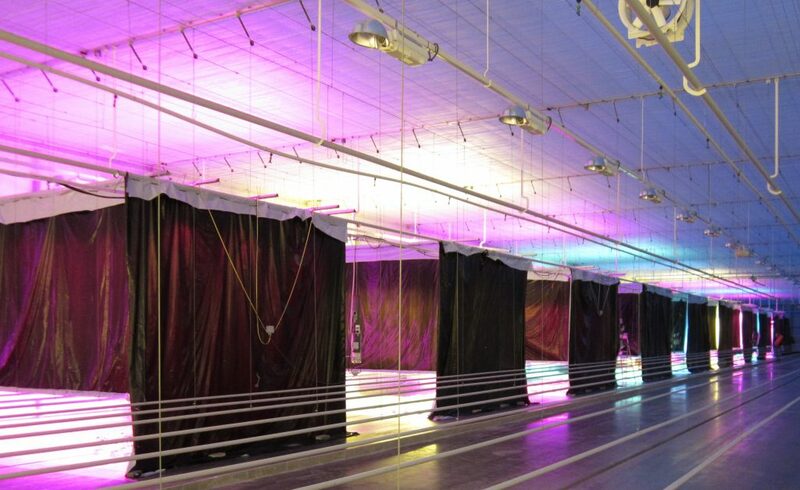 Sunlight simulators are manufactured by Specialty Lighting Holland. 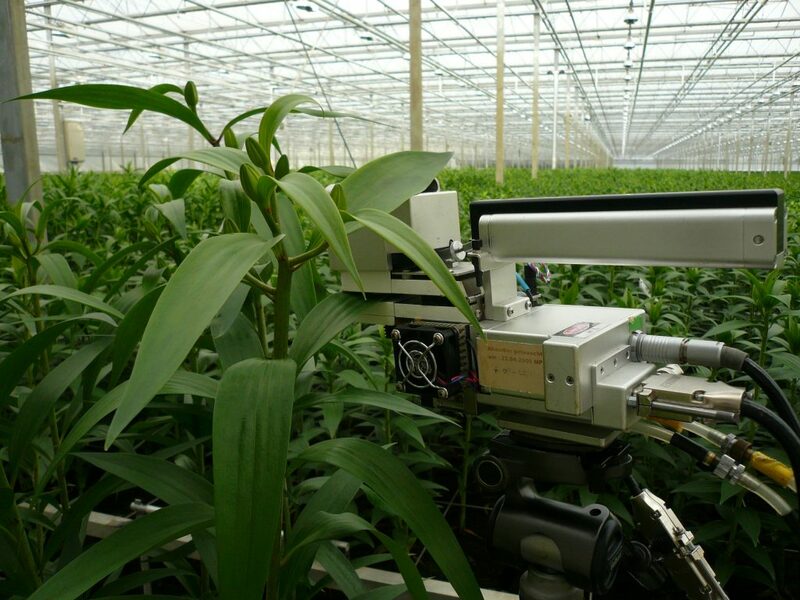 Research on the long-term effects of CO2 on photosynthesis and stomata sweet pepper. 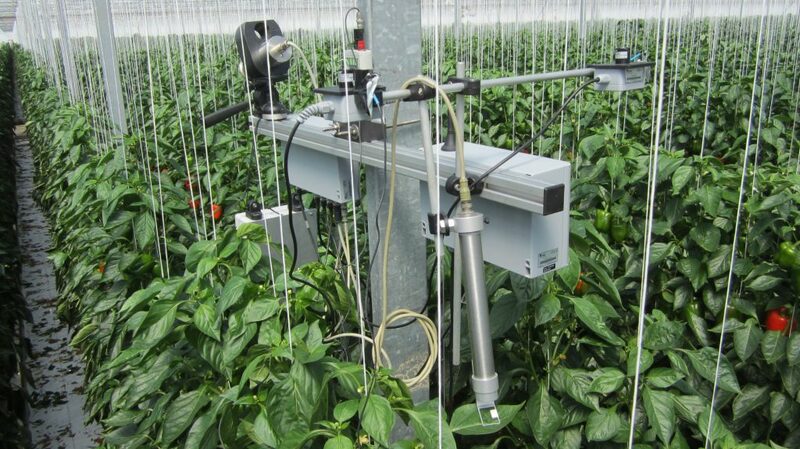 Research on the effect of a diffuse coating from Hermadix on climate and crop response sweet pepper. 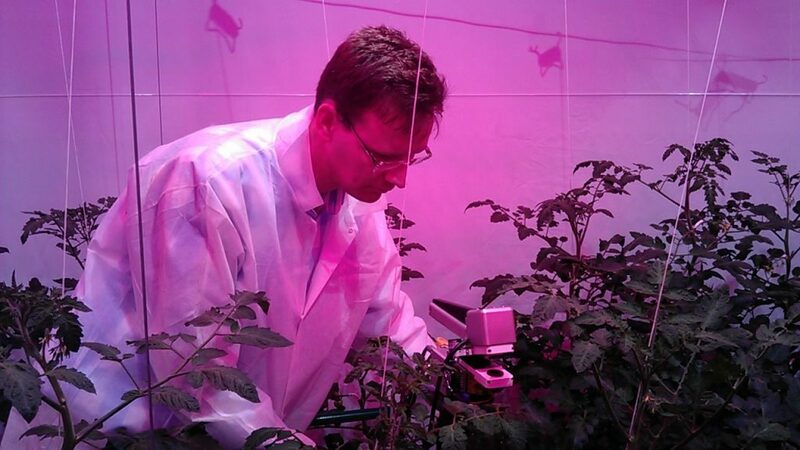 Research on effect light spectrum at nursery van der Lugt. 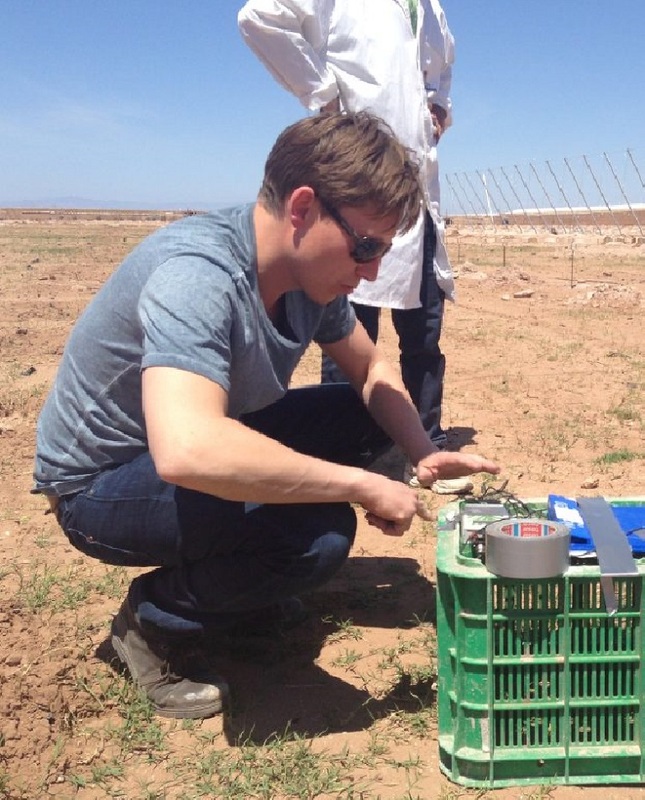 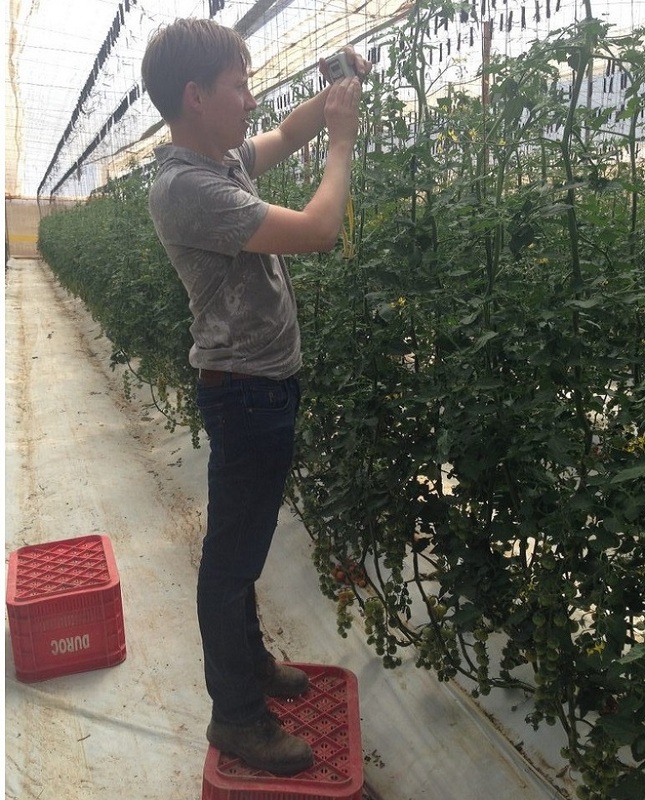 Research on effect greenhouse coatings Hermadix on tomato in Morocco.